A private key is used to decrypt information transmitted over SSL/TLS. 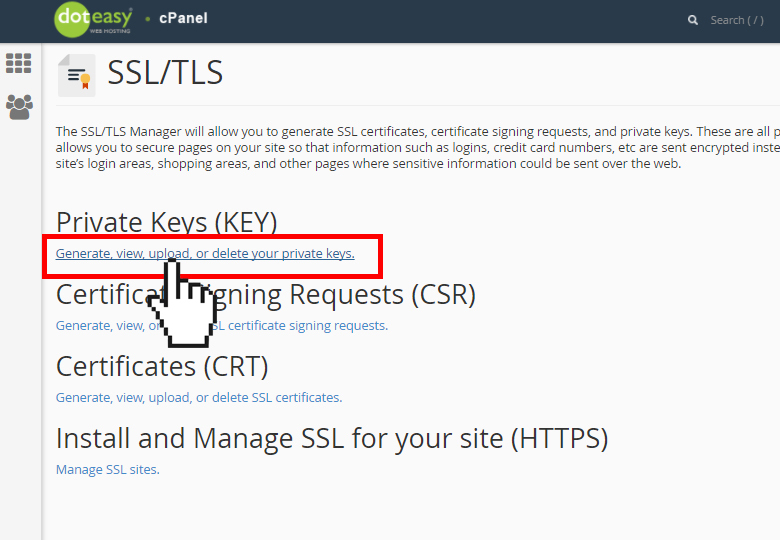 It is critical for the proper functionality of your SSL certificate. However, if for any reason you need to edit or delete a private key from your account, you can do so using the Private Keys interface. Under Keys on Server, find the private key you want to edit and click Edit from the Actions column. On the View Private Key interface, edit the Description text box. When ready, click Update. NOTE: You will not be able to edit the encoded or decoded private key. You can, however, delete the private key. 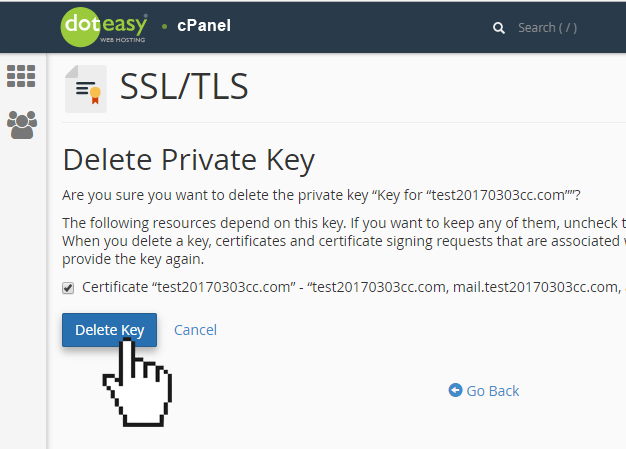 The private key is a critical component of an SSL certificate and the certificate would not work without a valid, matching private key. From Keys on Server, find the private key you want to edit and click Delete from the Actions column. On the Delete Private Key interface, click Delete Key. TROUBLESHOOT: Accidentally deleted a private key?